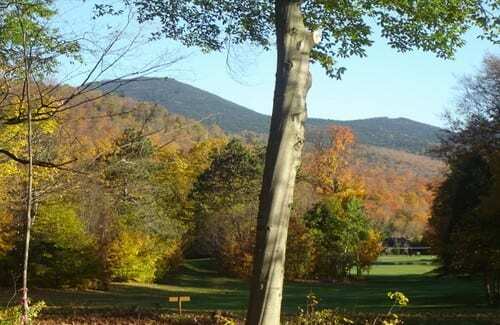 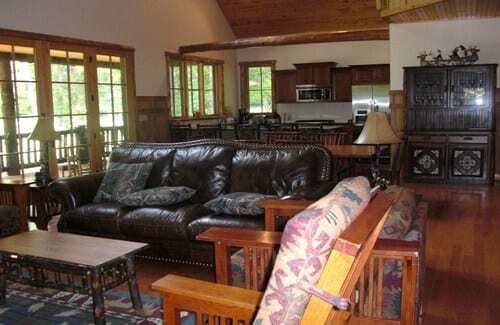 Rates: Summer & fall periods: $1,075/night thru October 24th Holidays: $1,200-$1,300/night Other times: $800/per weeknight & $1,075/weekend nights. 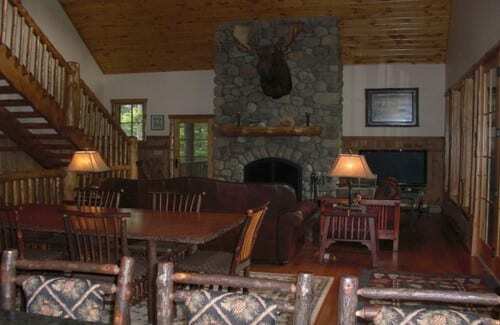 Small group discounts may be available. 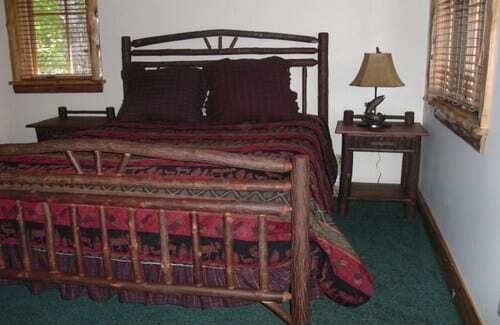 ALL FACILITIES OF CLUB AVAILABLE TO OUR GUESTS. 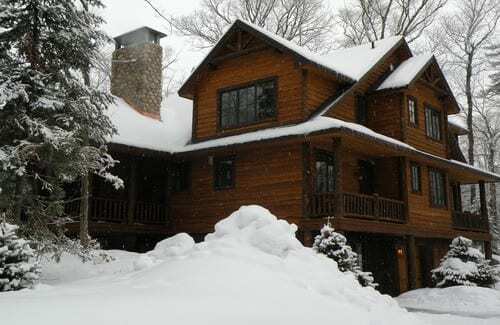 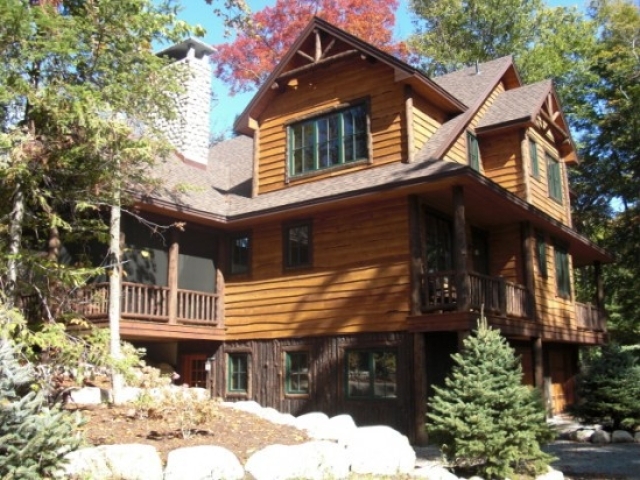 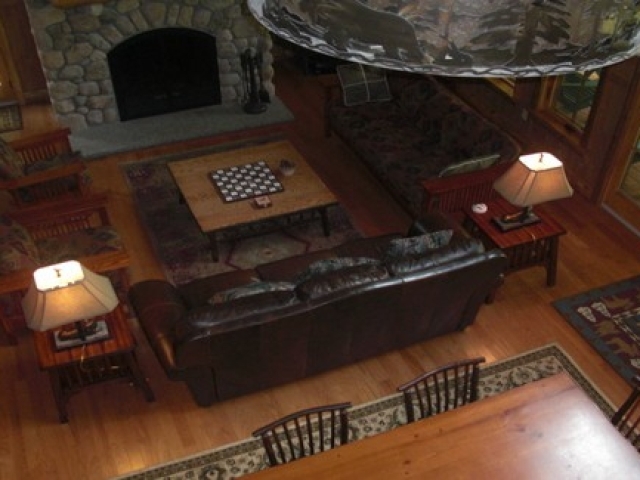 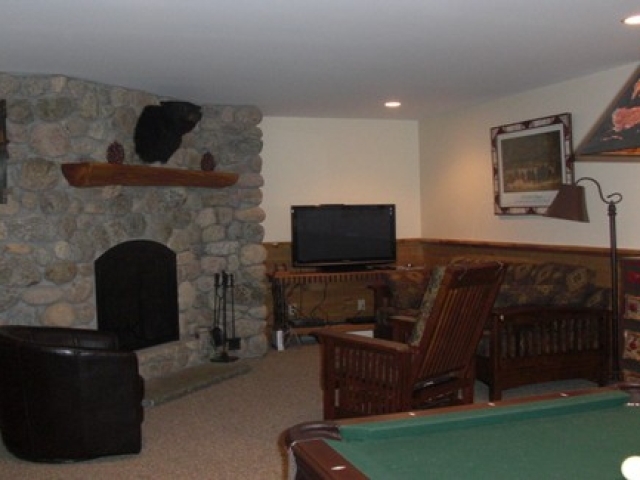 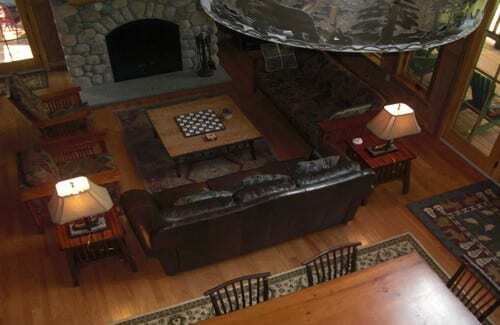 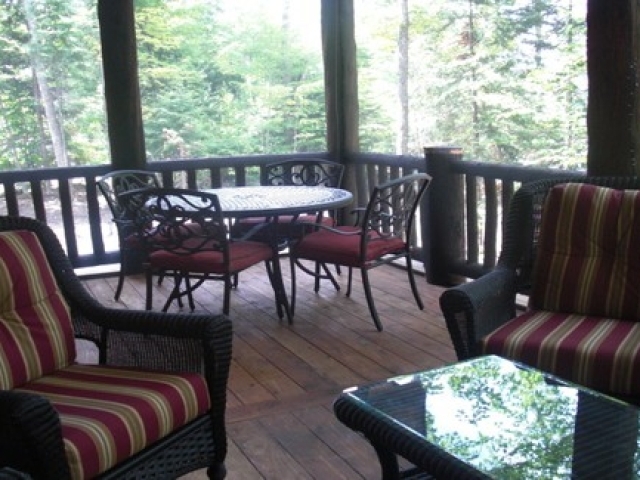 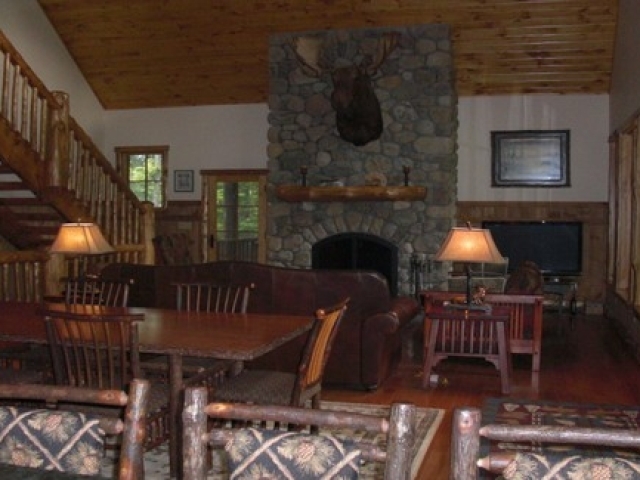 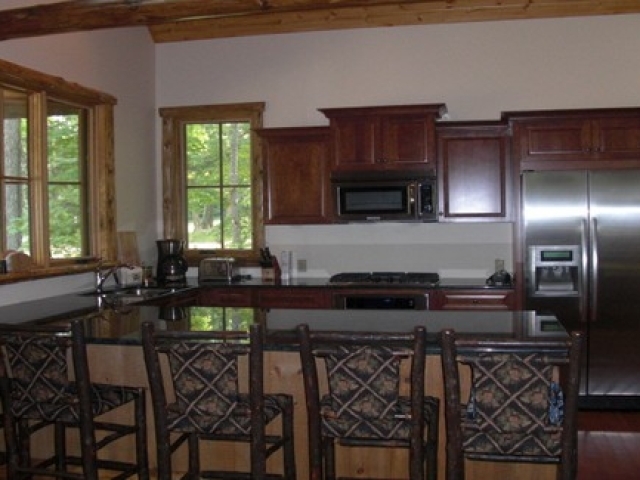 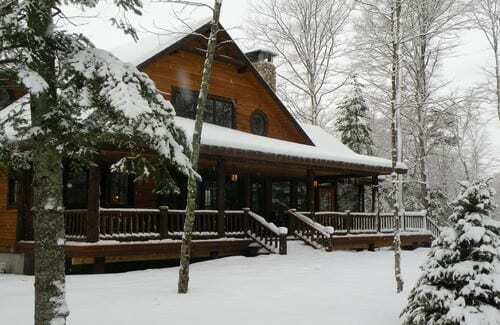 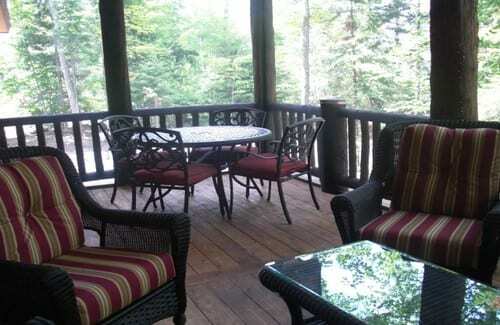 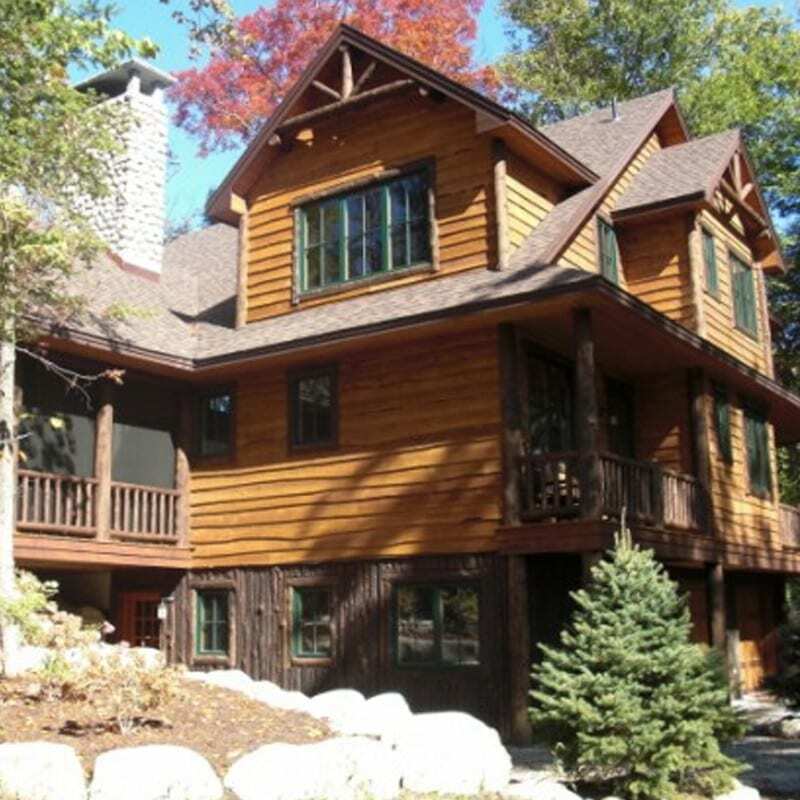 MOOSE MOUNTAIN LODGE is a newly built Adirondack luxury lodge home, beautifully furnished with Adirondack style furnishings and featuring a spacious open floor plan (ideal for families or large groups). 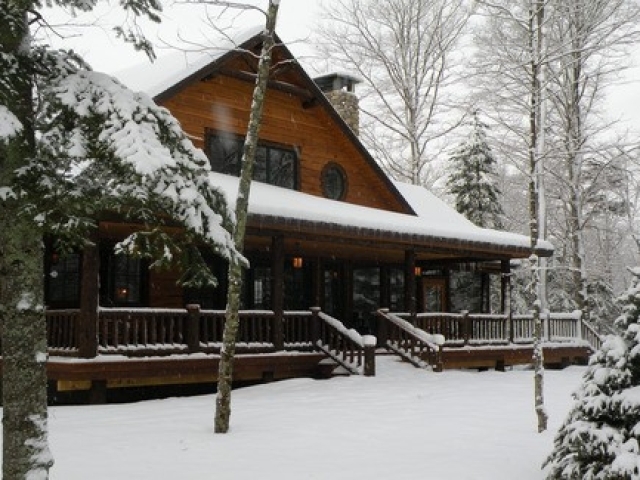 Additional features of the lodge include: loft sitting area overlooking the great room, rec-room with stone fireplace, pool table, queen sized sleeper sofa and adjoining sauna. 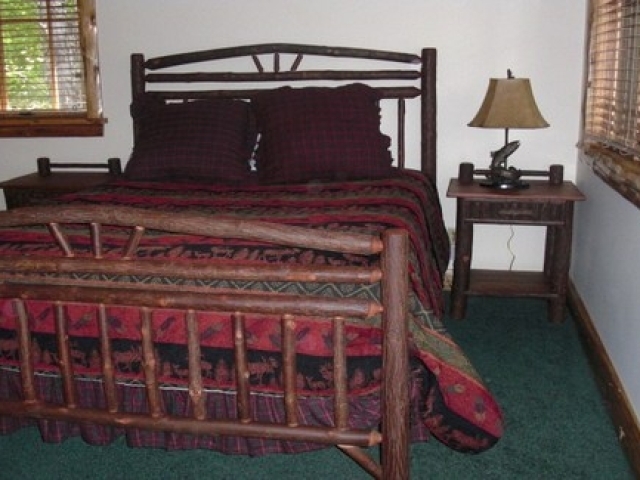 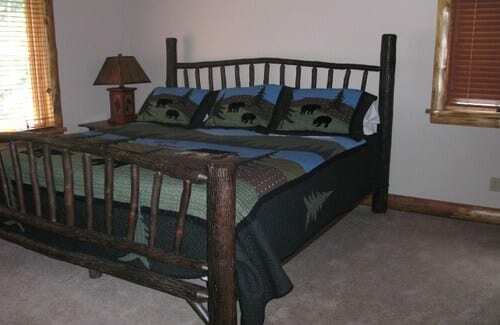 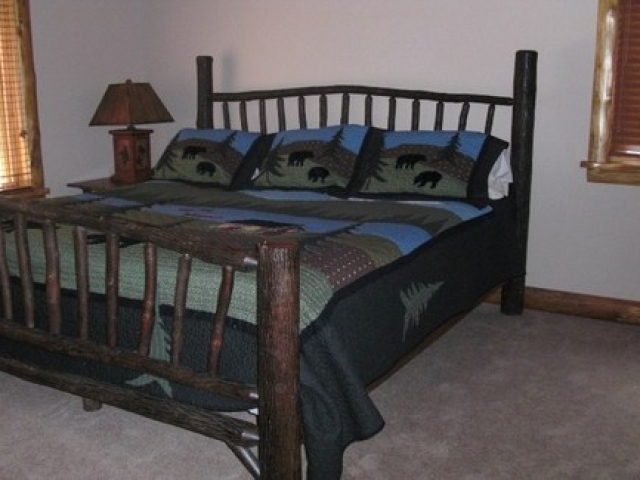 Bedroom Layout – 2 with King Beds, 1 with Queen Bed, 1 with 2 Single Beds, 1 with Queen Bed and a Bunk Bed. 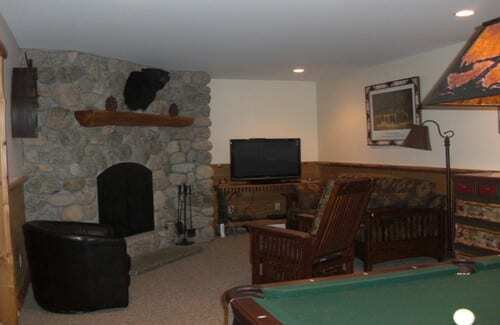 SPECIAL FEATURES include: 2 wood burning stone fireplaces, a pool table, games (including Nintendo Wii), professional-style card table, two large HD flat screen televisions, high speed wireless internet access, interior sauna, exterior hot tub and gas barbeque grill. 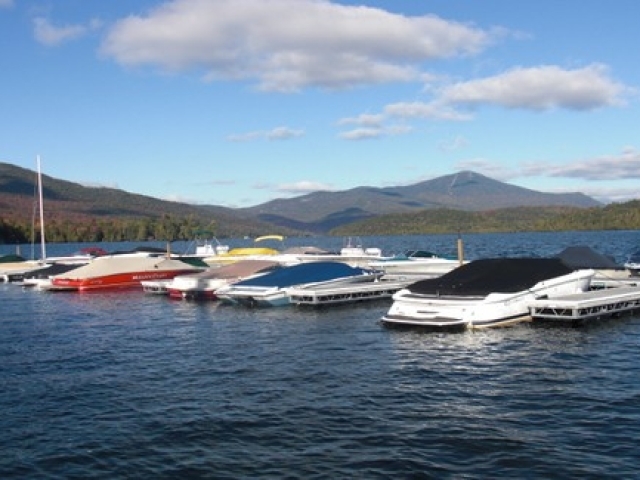 SPORTING EQUIPMENT AND BOAT DOCK are provided complimentary to our guests. 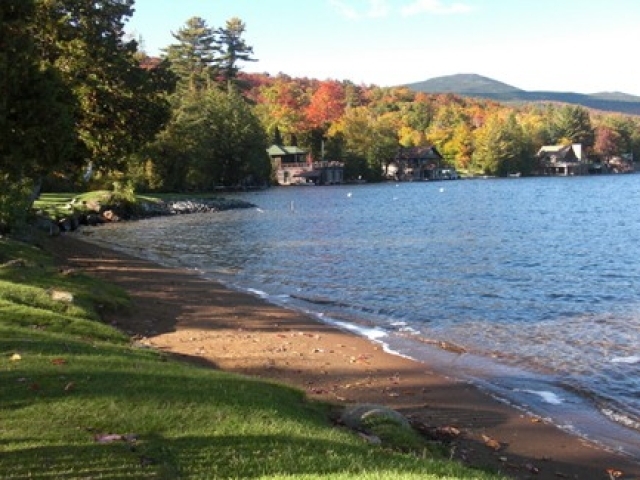 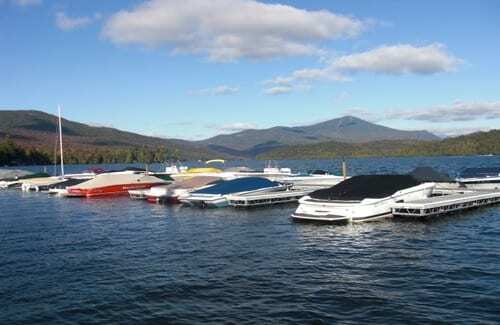 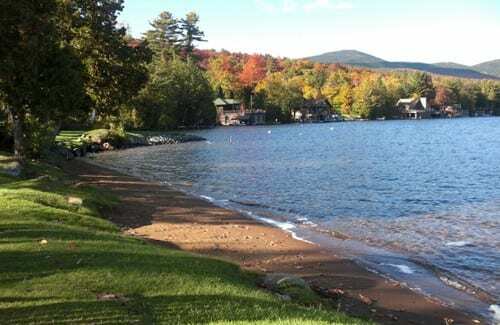 In addition to the full sized boat dock on Lake Placid, (1/2 mile from the house) the rental includes use of: 3 canoes, 3 kayaks, a 16′ Catalina sailboat, Sunfish sailboat and peddleboat. 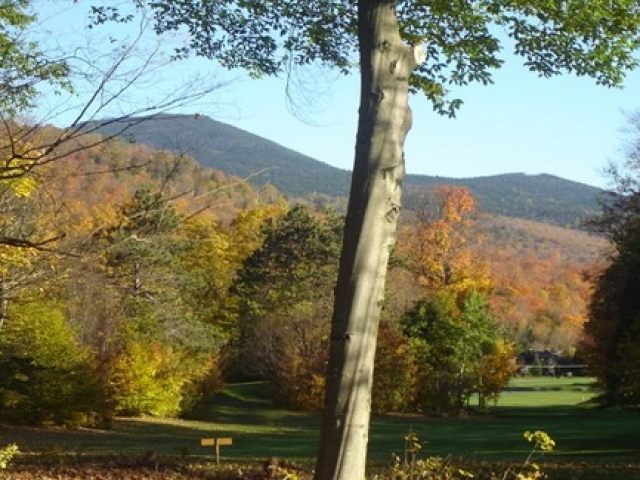 Use of eight mountain bikes (4 adult, 2 youth & 2 child) is also complimentary. 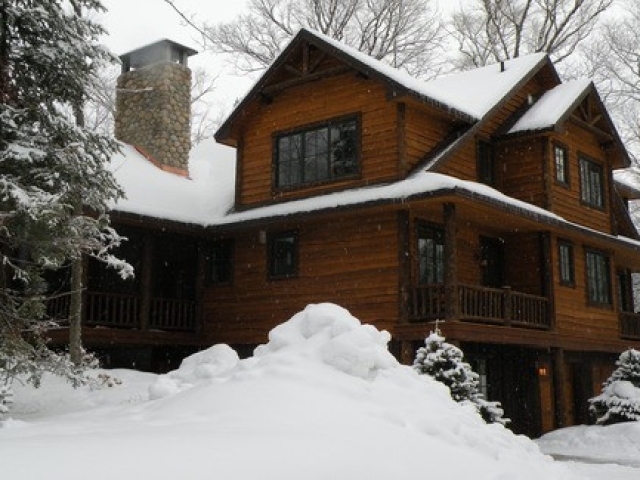 In the winter, we provide a large assortment of snow shoes, cross country skis, cross country boots, toboggan and sleds. 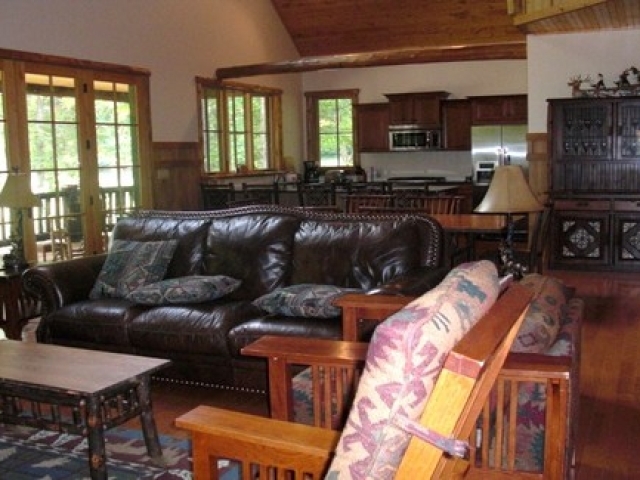 CLUB & RESORT FACILITIES: All facilities and programs of the club are available to our guests. 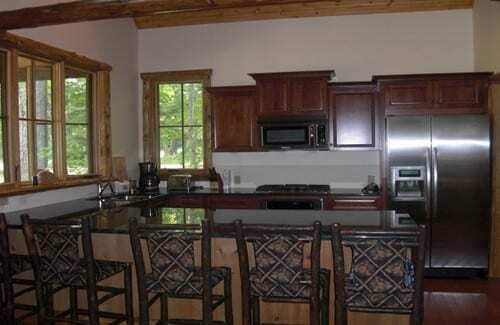 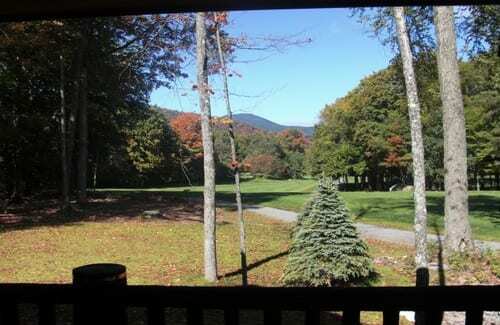 The beach, waterfront access, tennis courts and cross country ski trails are included in the rental. 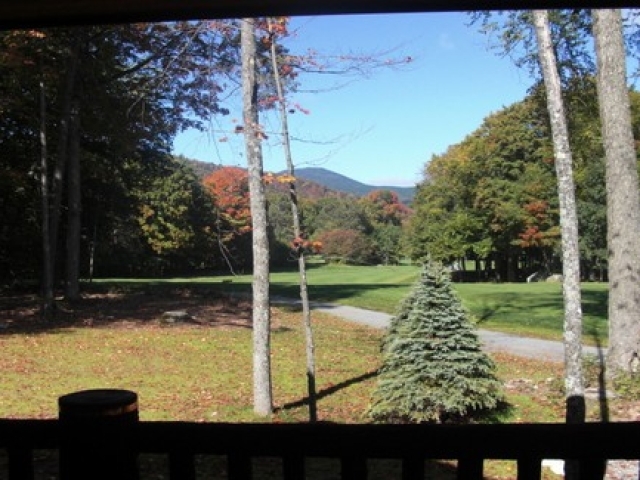 Golf is available for a small fee, depending on the number of golfers and the length of stay.